WASHINGTON (Reuters) - U.S. Secretary of State Mike Pompeo will voice concerns about the growing presence of China's Huawei Technologies in central Europe when he visits Hungary, Slovakia and Poland next week, a senior U.S. official said on Friday as Washington tries to bolster ties with a region it acknowledges it has neglected. Pompeo's visit will be the first by a U.S. secretary of State to Slovakia in two decades, while the last top American diplomat to travel to Hungary was Hillary Clinton in 2011. 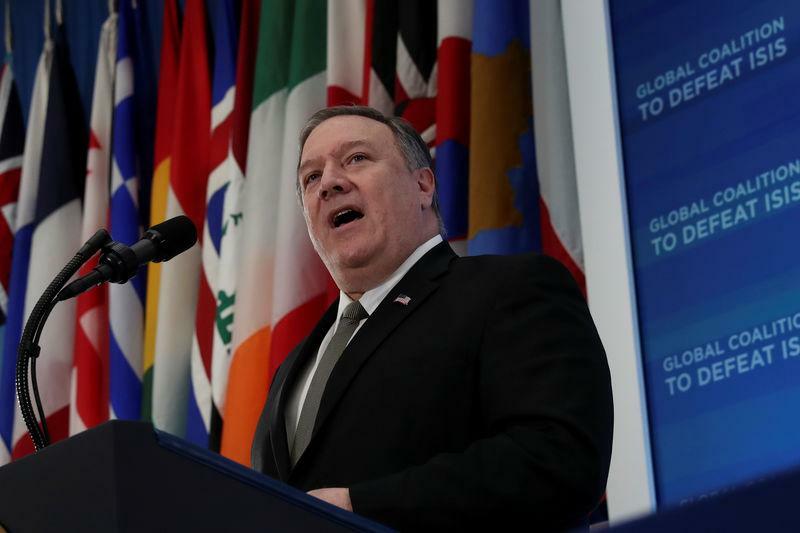 In Hungary and Slovakia, Pompeo will also discuss ways to bolster security relationships with both countries, including clinching deals on defense cooperation, a senior administration official said in a briefing to reporters about the trip. Pompeo will travel to Warsaw from Feb. 12 to 14 for official talks and to attend a U.S. conference on the Middle East as it tries to build a coalition against Iran and develop a peace plan between the Israelis and Palestinians. "In Hungary, the Secretary will give particular focus to the role of China in central Europe, and express our concerns about the growing presence of Huawei in Hungary," said the official, speaking on condition of anonymity. He will "urge regional leaders to heed the warnings of countries from Asia-Pacific who have found themselves in difficult straits as a result of working too closely with the Chinese," the official said. Huawei Technologies plans to create a European logistics center in Hungary and boost production capacity there this year. It has also offered to build a cyber security center in Poland, where last month a Chinese employee of Huawei and a former Polish security official were arrested on spying charges. The U.S. is trying to persuade countries to avoid Huawei, which is under scrutiny from Western intelligence agencies for its perceived ties to China's government and the possibility its equipment could be used for espionage. Huawei has repeatedly denied engaging in intelligence work for any government. The United States was particularly worried about Huawei's influence in small eastern and central European countries where it was easy for China to penetrate state systems, the U.S. official said. He said China "sees relatively small countries with a recent history of communism, with significant pathways of corruption, that lend themselves more readily to state penetration in key sectors, and then they have a springboard to operate within EU fora." China and Russia's growing influence in central Europe occurred in part because of a lack of robust U.S. engagement in the past decade, the official said.